Luca Baldini, Phunktastike, Bufi/La Royale, Offset, Automus and more. Katja Ruge strikes back: together with soulmate Frank Ilgener she has been hosting the infamous event "Kann Denn Liebe Synthie Sein?" 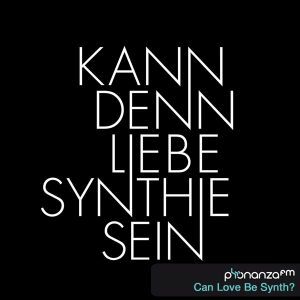 ("Can Love Be Synth?") at various locations in Hamburg. This mix is some kind of warm up for the party they had with Jennifer Cardini and Ivan Smagghe playing Back to Back at the Turmzimmer (Uebel und Gefaehrlich). But there is much more to KDLSS: it includes a really fantastic exhibition of Katja&apos;s photographs of old and newer synthesizers and - for some time now - Katja has worked on music productions, together with the Synthesizer Studio in Hamburg.